You will meet lots of new people who will challenge you to reach your full potential. Entertaining children and adults is one of the most important activities of the job. With a big smile you participate in the daily- and evening programs. 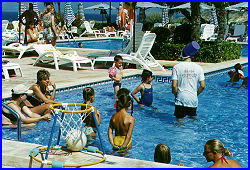 During the day you will make the sports and games activities an enjoyable event. 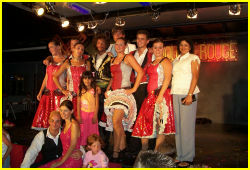 Because of your enthousiastic performance, guests like to participate with all the activities. You will also learn how to present and perform an evening show. Entertainers working with Dutch Entertainment have guts, are happy and give the clients a good feeling during their holiday.